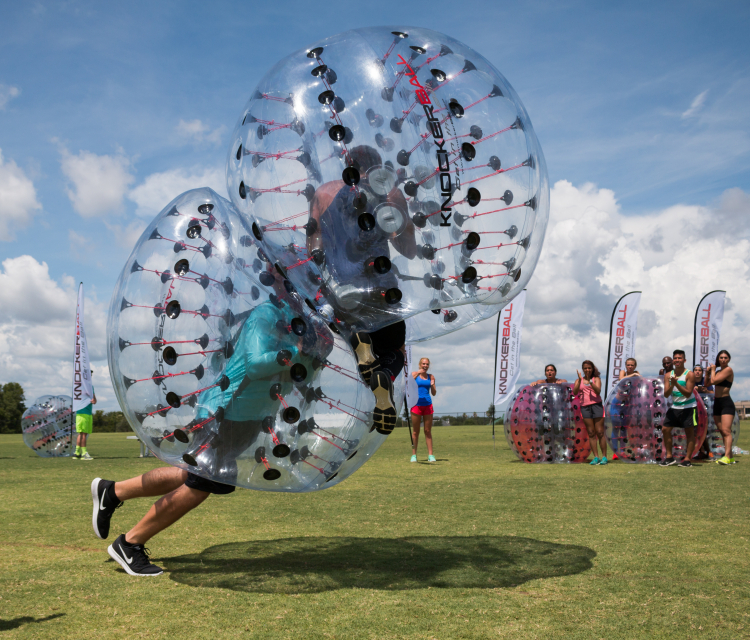 Knockerballs are the future of fun. You do not have to be athletic to enjoy the games that will be played. 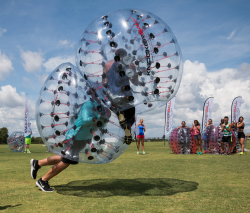 The participants will enjoy knocking people over and the spectators will have lots of laughs. All of our packages includes an attendant to make sure your event goes smooth and that everyone has fun. We also have an inflatable field if you need to keep your players contained in a certain area.